Summer is here and that means grilling time! Let us start your summer off right with a clean oven and grill. Hillyard heavy-duty formulation that works on grease, caked-on foods and other cooking soils. For daytime application or overnight cleaning. This formula penetrates, emulsifies and holds the soils so you can wipe the surface clean with water. Do not use on aluminum! 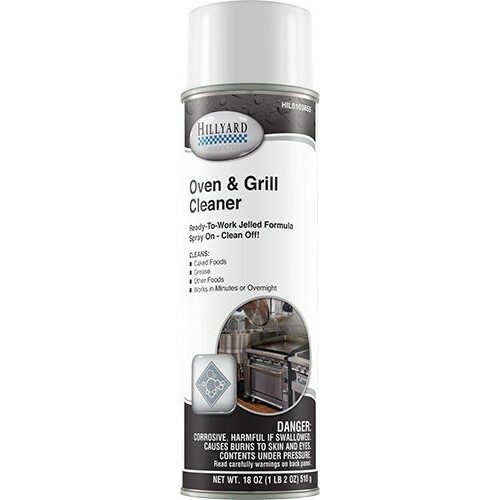 I purchased this product for my Oven and Grill and had great results. It was easy to use and very effective in remove grease and caked foods. I will continue buying this product in the future.